Building Links is reporting that inventory of single-family homes declined by 36 per cent from March 2016, with 1,023 active listings available last month compared to 1,598 one year ago. 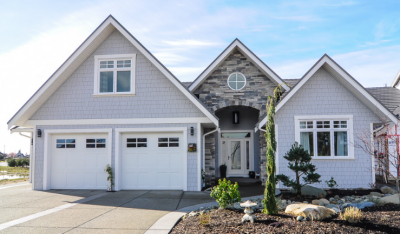 Low inventory continues to frustrate consumers in the Vancouver Island Real Estate Board (VIREB) area. An additional 145 single-family properties came onto the market in March, but the increase was not significant enough to have a noticeable impact on inventory. Inventory dropped by 36 per cent year-over-year in March, and the lack of housing options continues to frustrate buyers in the Vancouver Island Real Estate Board (VIREB) area. “Single-family homes between $500,000 and $600,000 rarely last longer than a day or two and generate multiple offers, with many selling above list price,” says Janice Stromar, VIREB President. The March 2017 benchmark price of a single-family home in the Campbell River area was $323,100, an increase of 15 per cent over March 2016. In the Comox Valley, the benchmark price hit $408,300, up 15 per cent from 2016. Duncan reported a benchmark price of $353,000, an increase of 14 per cent compared to March 2016. Nanaimo’s benchmark price rose 23 per cent to $452,900 while the Parksville-Qualicum area saw its benchmark price increase by 18 per cent to $463,500. The price of a benchmark home in Port Alberni hit $217,800, up 12 per cent from one year ago. 1stView.ca features a number of new homes for sale on Vancouver Island. Excerpt from April, 2017 VIREB news release.